With the October 2017 PSAT around the corner, now is the perfect time to revisit the differences between the PSAT/NMSQT (Preliminary SAT/National Merit Scholarship Qualifying Test) and the full SAT. We covered the differences between the old PSAT and SAT formats and how those compare to the new PSAT and SAT formats in a previous lesson. At this point, however, no student taking the PSAT this year will have even had the opportunity to take the old format SAT. Therefore, we will be focusing solely on comparing the PSAT and SAT as they exist in their current forms. As you can see, the PSAT is very similar to the SAT in number of questions and time allotted for each section. The PSAT does omit a handful of Reading and Math questions in order to keep the total exam time under three hours. Removing these questions also results in some of the sections having slightly more time per question. Other than these very minor changes, the multiple choice sections of the PSAT and SAT identical. Both exams follow the same format and use the same types of questions. 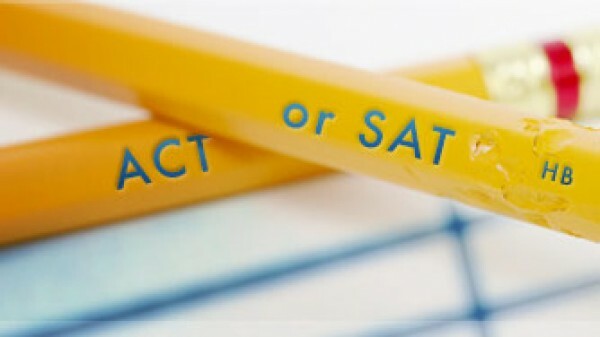 The only major difference in terms of test-taking experience is that the SAT offers an optional Essay section while the PSAT does not. The PSAT uses the same scoring format as the SAT. However, the minimum and maximum scores for each category are slightly lower. Here is how the scaled scores and subject scores for each exam compare.